If you are coming to Barcelona and want a little historical introduction and orientation why not read one (or both) of the biggest international best-sellers in recent years: The Shadow of the Wind and The Cathedral of the Sea. 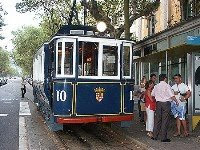 Both authors are from Barcelona and both historical novels are set in Barcelona neighbourhoods within easy walking distance of the hotel. 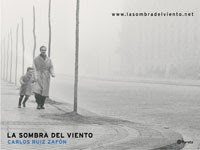 Carlos Ruiz Zafon´s The Shadow of the Wind, spans the time from the late 19th century industrial revolution to the post Civil War Franco years. It weaves the occult, the diabolical, a tragic history of love, and a literary mystery into an international gothic blockbuster that has been translated into 45 languages and has sold more than one million copies in Great Britain alone. If you speak Catalan or Spanish you can convert this historical fiction into reality by taking an organized tour given by Rutas Culturales de Barcelona. Or, with a little help from our hotel staff, you can investigate the novel´s settings and mysterious places on your own. You can retrace the footsteps of Daniel Sempere, Julian Carax, and all the others through “the cemetery of lost books”, Santa Maria del Mar, the Quatre Gats restaurant, the Canuda bookstore, calle Montcada, Plaza San Felipe Neri, and las Ra mblas. 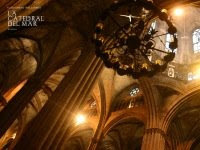 The Cathedral of the Sea by Ildefonso Falcones, Spain´s Ken Follett, takes place in 14th century Barcelona. This super best-seller in Spain relives the historical drama of plagues, social injustice, and the incredible building of Santa Maria del Mar while spinning a personal story of treason and love. Again you can discover the sights of this novel with rutas culturales or you can leisurely visit the Sinagoga Romano-Medieval (The Roman-Medieval Synagogue), Call Jueu (the old Jewish quarter), the Roman Temple of Augusto, la Plaza del Rei and of course Santa Maria del Mar on your own as well as wander down calle Montcada, calle Canvis Nous I Canvis Vells, and calle Consolat de Mar.